One of the most civilized things about touring in Australia is that about half the time, we are put up in apartment hotels. Australians travel a great deal both internationally and domestically and so have worked some of these things out very well. The basic idea is this: in each accommodation there are two separate bedrooms which share a small living area and kitchen, most often with laundry facilities. The laundry facilities are most welcome on a three week tour when you only have 23 kg of luggage space! One of the least civilized things about touring in general is that I am away from my kitchen, where I spend an inordinate amount of time cooking. I’m sure you see where this is headed. Apartment hotel with a modestly appointed kitchen, check! An evening off in Melbourne, check! The fantastic Queen Victoria Market a 20-minute walk away, check! Knowing we had time and opportunity, I decided that yes, in Melbourne, if possible, we were going to find bigoli col anatra. Or more accurately, I was going to find the ingredients and prepare it. I just love the challenge of trying to do something very specific in a very different locale, in part because it forces one to overcome some limitations, but also offers the opportunity to engage with local people in a way that one might not otherwise. Job one was to figure out what was practical in our very small kitchen (on this tour, Brandon Chui and I have shared accommodation). Of course, if you’re going to cook, why just make pasta? How about a second course as well? And you’ll need a little antipasto, too, to be properly welcoming. It is late autumn here, so we needed a menu that reflected the season as well. With the limited battery of pots and pans (and an eye to NOT setting off the smoke alarms), I could see doing the pasta and sauce, poached-then-browned kangaroo sausages (kangah-bangahs) with garlicky mashed potatoes along with some appropriate vegetable, and an antipasto to be named when at the market. Market, here I come! The lynchpin of the meal was the duck, and if I couldn’t swing that, the whole meal would require a rethink. I had two sharp, but small knives, and I had decided that if I couldn’t find ground duck, I was not going to spend 45 minutes (and risk tendinitis) cutting it up myself; every challenge does have it’s limits. From previous tours, I remembered a nice butcher shop that deals in game, and when I got there, there was lovely duck breast to be had. I asked the young man serving me if he was set up to grind it, and he looked at me quizzically and said “I’m gonna have to work out what you mean by grind…” when a tiny, septuagenarian fellow-shopper in the queue next to me chirped, “MINCED! !” Yes he could mince it, problem solved. I also picked up the kangah-bangahs as I remembered them from our last trip to Melbourne — slightly garlicky with a hint of sun-dried tomato and basil. As he handed over my purchases, he asked, “Mind if I ask what you’re making with the duck?” I described both the dish and the friend who had asked for it, and he asked if I was a chef. I said no, just a devoted amateur. “A VERY devoted amateur with a very lucky friend I’d say,” he replied. Flattery will get you everywhere, mate; I’m sure I’ll be back to that shop if I’m lucky enough to revisit Melbourne! The vegetable vendors were heavy with potatoes (all the ones I’ve seen in Australia have been squeaky clean, interestingly enough), and I got the rundown on which one would be best to mash: largish beautiful pink ones. It is autumn, again, and one of the veg dealers had the cutest, most tender looking broccolini, not cheap, but hey, you get what you pay for or a little less. Another part of this challenge is to minimize waste, and buy precisely what one needs. Butter came in bulk at one of the cheese shops so I could buy the 200g I needed. I picked up a half a head of garlic nobody else would likely buy, dropped 20 cents on a carrot and found a slightly mangled half a stalk of celery (it was headed for the sauce, so I was only going to mangle it further). One misstep was the pancetta required for the duck sauce; I asked twice to be sure it wasn’t smoked, but when I got back to the apartment I discovered it was (Marco said in the end that he didn’t mind). Olives looked good: one variety from Australia, a second from Sicily. I normally travel with both salt and pepper mills — the gods of improvisation smile on the man who is prepared. Everyone offered to help, but the kitchen was so small only one other bum would fit in it. With the able assistance of Dominic Teresi, dinner was served, savoured, and devoured. Among the limitations I couldn’t easily overcome in this case were serving space and capacity. To actually have a place to sit at the small table and have cutlery to use in our apartment, I had to limit the guest list to five, and I don’t think the pots and pans could have handled much more. All of which is to acknowledge that if my colleagues read this I may be in some hot water! On the other hand, after two weeks on the road I should be careful about presupposing that anyone would be looking for my company! Patrick joins us on our 2018 Australia tour for his first tour with the orchestra. As the video operator, Patrick runs the projections during a live performance, which includes still images and video, timing it perfectly with musical and speaking cues while following a score of the music. When the orchestra was in Canberra, Patrick gave us a look in a day in the life of a technician on the road. Video operator Patrick Lavender and this partner, lighting associate Kaitlin at the zero-kilometre mark. 8:00am – Wake up, hit snooze. 8:10am – Wake up, drink instant coffee. This is the standard in Australian hotels. In a country steeped in coffee culture, I was a little surprised. Note to self: next time, bring a press. 9:30am – After a nice breakfast of fresh fruit and yogurt, served in my hotel room coffee cup, I venture into the outside world for a proper cup of coffee. A couple cappuccinos later and I’m ready for the day! 9:45am – Most mornings we walk to the venue. Today in Canberra we are a few blocks further and are picked up by our wonderful Musica Viva Tour Manager, Rebecca. It is 5˚ C, and I can see my breath outside. This is the furthest south we will stop on the entire tour. 10:00am – We arrive at Llewellyn Hall, Canberra, and unload the 50’ tour transport truck. This might be slightly overkill for a harpsichord, double bass, and 6 video cases. The crew here is lovely, and we begin the “bump in” (Australian for Load In). 11:45am – Break, time for a Tim Tam Slam, a proper Australian sugar treat initiation. Please see the video below! 12:30pm – After finishing my video focus and setup, I retire to the greenroom for a few more Tim Tams (an Australian delicacy in my opinion), another cup of coffee, and some gummy candies (my weakness). Time to head back to the hotel. 1:00pm – On my walk back to the hotel, I stop at a small Indonesian take-away joint and order a Nasi Goreng. I’m realizing this blog could also be titled: A Day in the Life of a Tafelmusik Technician / A Culinary Cruise of Canberra / I’m Basically Blogging About Food. I get back to the hotel, take a bath, and change into my show clothes. 2:45pm – Meet in the lobby and hitch a ride back to the venue. Time for more gummies and Tim Tams (Tim Tam daily count 5 … okay 7). 4:00pm – Alison Mackay and I look through the video images and make a few adjustments to brightness and contrast. 5:15pm – Following music rehearsal, Blair and I run through some of the challenging video sequences. After a few passes of each section, we are ready for tonight’s performance. 5:45pm – Dinner is served in the backstage greenroom. Tonight is a selection of curries, green salad, and of course a table of sweets. Time for one more Tim Tam Slam, and I’m ready for my final preshow checks. 6:15pm – I chat with the venue stage manager, Rachel, to go over the top of show and intermission procedures. We check to ensure our communication system is functioning correctly, execute our preshow lighting and video cues, turn the house lights up, and then we are ready for the audience to enter the hall. 6:30pm – I dart back to the greenroom to continue writing this blog. There is a flurry of action, musicians tuning, children playing [Cristina Zacharias and Elisa Citterio are travelling with their toddlers], some final preshow snacks, and one last chance for the musicians to practise a few of the more challenging phrases of music. Glenn comments that all the musical chaos forms a sort of perfect musical storm, a cacophonous ensemble of pre-performance sounds. 6:50pm – Time to take my place at the back of the hall. 7:00pm – The audience takes their seats. I take a few deep breaths, the musicians enter the stage, and away we go! 9:00pm – The musicians take their final bow. It has been an excellent show for everyone. I have executed all 250 video cues and 60 lighting cues without error – my best show yet! 10:00pm –The last case is loaded onto the oversized truck, and the bump out is complete. 10:30pm – Back at the hotel I convince my partner Kaitlin Hickey, (also on tour, as the lighting associate) to head out for some late night food and drink. This proved more difficult than we imagined. Does no one eat after 6pm?! After trying 3 or 4 establishments we end up at a Japanese bar. I’m already planning my next meals once we to return to Melbourne, where the culinary options seem limitless, and delicious. Perhaps some Italian for lunch at Pellegrini’s and Szechuan for dinner at Dainty’s? 11:30pm – We head back to the hotel and retire for the night. 10am tour bus departure tomorrow for our 1pm flight back to Melbourne. So far we have flown 22,311 km since leaving Toronto. That’s the equivalent of driving from St. John’s to Victoria over 4 times. Kaitlin and I are keeping a tally this season. Over the next 5 months we will travel to 4 different continents, touring with Tafelmusik and Volcano Theatre. What a great way to see the world! I remember receiving the email from Tafelmusik Operations Manager Beth Anderson with the invitation to go to Australia to perform Alison McKay’s memorized program Bach and His World (aka J.S. Bach: The Circle of Creation). It was a cold afternoon in January 2017, and I was hanging out in the men’s dressing room at the Conrad Centre for the Performing Arts, home of the Kitchener-Waterloo Symphony Orchestra with whom I was previously a member. Having already done a Tafelmusik memorized program in the past (The Galileo Project, Japan/Korea tour 2013), I was thrilled to take on the challenge of doing another one of these projects. And in Australia? Aw hell yeah, sign me up! And here I am, a year-and-a-bit later, hanging out at the Sensory Lab cafe in Melbourne on a dreary Monday morning, two days after our concert in Perth, the first on an 6-city, 8-concert run in the land down under. People who know me know that I am a big consumer of food. I have been known to drive across the city, out to Markham, during a snow storm just to get a Mango Saigo at our favourite Chinese dessert spot. And while I may not be quite as extreme as that while on tour, a lot of time is spent thinking about what will satisfy the belly. It was about a year ago that I spent three weeks playing out in Kuala Lumpur, and you can ask my wife — I’ve been talking about Malaysian food non-stop for the last month. I miss everything about it — the smells, tastes, flavours, spices, the sense of family that goes into a simple looking Nasi Lemak. I can’t tell you how happy and excited I was to see the number of hits after Googling, “Malaysian restaurant Perth” (try the same for Toronto … not many, though special mention to One2Snacks for making a mean Hokkien Mee! ), with the highly rated Insan’s Cafe being a 4-minute walk from our hotel! I’m embarrassed to report that your Tafelmusik viola section, Patrick G. Jordan and myself, ate at Insan’s Cafe three times in 36 hours. I mean, hey, why not? Amazing food, relatively cheap, close by — no need to even think about it! The memories it brought back were amazing, minus the heat, humidity and depending on where you choose to get your Nasi Campur in KL, the scooter exhaust! And while food is the tour side-show, music is the real reason we’re here. The music of Bach is a source of spiritual uplift and the embodiment of why we do what we do, and to play this program featuring exclusively the music of this music god with my friends and colleagues of Tafelmusik leaves me in awe. As I sit there listening to Elisa, Chris, Christina, and Olivier play the second movement to Bach’s Trio Sonata BWV1039, I always think that I’m the luckiest person alive. What you and our audiences the world over hear are the fruits of hundreds of hard individual and collective work. From the individual memory work we all have to put in, to the “play dates” where any number of players will get together (before a rehearsal or concert of a completely unrelated program at home) to run through music — these are all seeds that give way to the beautiful harvest of Bach and His World. And just to take you behind the curtain a little bit more, the parts that the violinists of Tafelmusik play in this program are always fluid, meaning each player often plays different parts with each run. For example, because Chris Verrette was not on the East Coast Canadian Tour in November 2017, parts were re-distributed among the other violinists to make up for his absence. Tricia Ahern broke her arm before the March 2018 run in Toronto, and now Genevieve Gillardeau is not able to join us in Australia, so people have to learn different parts to fill in. Add to that the different stages and their geographical layouts (which call for adjustments to where people walk and stand), acoustics (how do we balance, articulate, and pull our sounds differently?) and ever-evolving musical concepts, what you get is a product in constant change, ever growing and changing with each performance. And just like my food – I LIKE THAT. Food – for me, it is that upon which the entire day is built; the day’s support pillars that are so important that a day’s simple routine (nevermind a complex routine!) just isn’t possible if this architecture has not been properly installed. I always worry about meals, often days in advance, especially when rehearsals and concerts are involved, and being on tour highlights how neurotic I am when it comes to feeding time. We’ve been on the road for four days so far, and while I’ve had a couple too many meals at a world-dominating fast-food chain which shall remain nameless (let’s just say that an Old Farmer with the same name has a song named after him), I’ve also had my fair share of smoked meat sandwiches and shawarma in Montreal to keep the days from turning into a raging dumpster fire. If food provides my day’s architecture, it’s music that fills it with meaning. I’ve been looking forward to playing Tafelmusik’s innovative memorized program J.S. Bach: The Circle of Creation since being booked for it back in January. Everyone’s learning curve is different, so I speak purely from a personal perspective — memorizing of this nature (viola parts, ie. the inner voices that are harder to memorize) takes months to prepare. There is the initial “installation,” and the constant updates and re-fortification to make sure there are no leaks. I started chiselling away in June while I was in Asia, and have been rechecking things right up until before the two concerts that we’ve played so far. I’m writing this while en route to Charlottetown PEI after playing in Sackville NS last night, the second of six concerts on this Maritimes + Montreal tour. The two concerts so far have been those, “This is why I do this,” moments. While playing goodness-knows-how-many Imperial March(es) from The Empire Strikes Back has brought the house down every single time, it in no way compares to seeing, feeling, and hearing the uplifting spirit of Bach overwhelming the audience to elation and tears – I will take that any day over Darth. It’s simple, really: I ride for Bach, everyday. I can’t wait to get back at it at tonight’s concert at the Homburg Theatre in Charlottetown. But first thing’s first: pass over that lobster roll! At the time of writing, I’m trying to think of a good play on the infamous movie title for this blog, but it may end up being plain old “Tafelmusik in Seattle.” Let us know if you have better ideas. After our show in La Jolla, we retired to our hotel. Hotels on tour are an interesting little facet of tour life. You never quite know what you’re going to get, and they vary wildly, being usually organized by our host venue. Dominic has already described the lovely hotel in Santa Barbara. The following night we were somewhere quite a different—more of a motel-style venue, on the edge of a busy road, so really quite different, although the fact I found I could sit by the side of the pool AND still get WiFi was a definite plus! In La Jolla we found ourselves at a rather plush golfing resort, so we were happy to retire to the bar there after the show, in the company of Amy from our agents Colbert Artists, who very kindly treated the orchestra to a round of drinks. Some however had their sights set on healthier and equally relaxing goals—the hot tub. The official closing time was 11 pm, but by the time we arrived back it was 10:50 pm. Reception was mobbed by enthusiastic potential bathers, and they very kindly agreed to extend the opening by an hour, news which was greeted by excited whoops and cheers! After their dip, the bathing portion of the tour party dropped by those of us in the bar, in their bathrobes. I shall spare them the embarrassment of posting pictures here! The next day was a long one and necessitated an early start for our 10 am flight to Seattle. At the airport, our Tour Manager Beth Anderson managed check-in as usual. 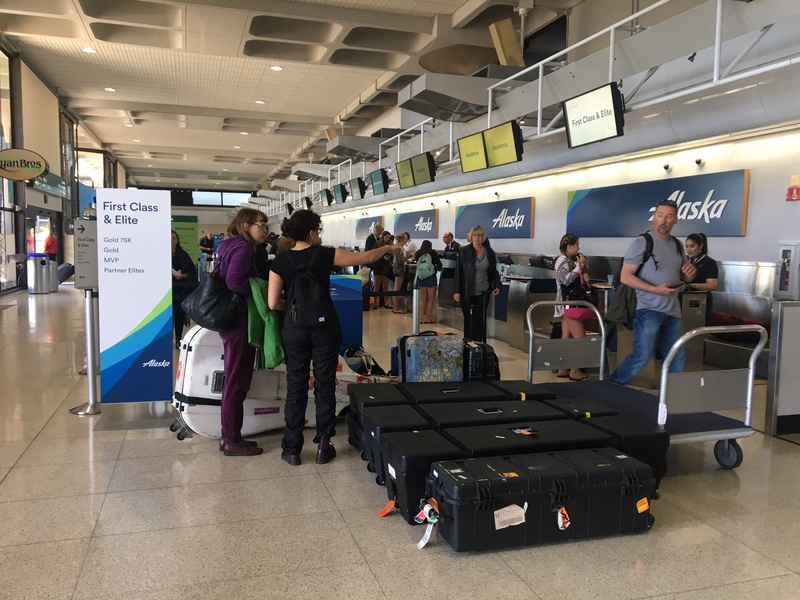 No matter how much prep you do, it’s always a slight unknown as to how checking musicians with instruments, cellos with their own seats, and all the cargo including double bass will go down with the particular check-in crew on duty that day. Sometimes you get unlucky and get a (British TV reference coming up) “computer says no” reaction. 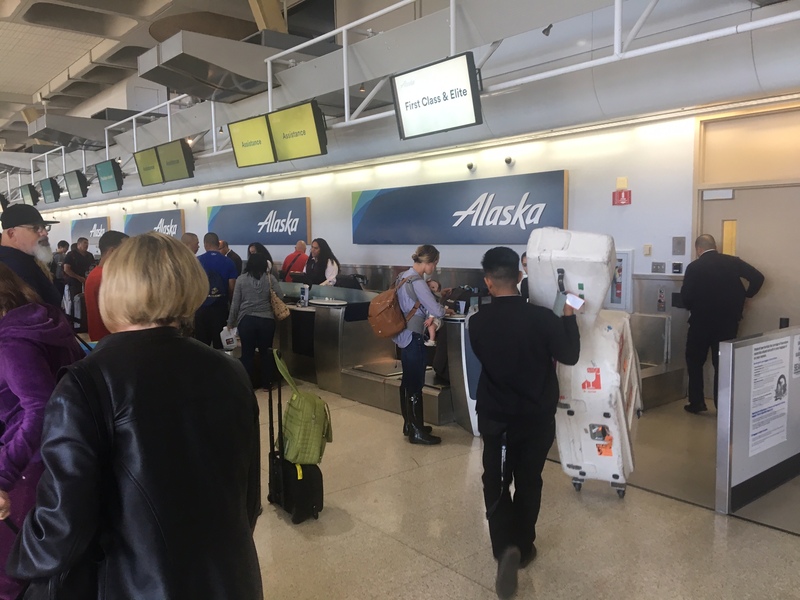 Luckily, on this occasion, the staff of Alaska Airlines came up trumps and all went smoothly. After arrival in Seattle (with the bus parking seemingly situated the furthest possible distance from baggage reclaim) we transferred to the hotel and the orchestra had a few hours to catch their breath. This was, I think, the eight hotel of the tour. Changing hotels almost daily can be pretty disorientating—I woke up several times with zero idea where I was, frequently thinking I was in the previous night’s room. It’s one reason why touring can be so tiring—so huge kudos to the orchestra (and indeed to Tour Manager Beth Anderson and the whole technical team) for never flagging, at least not visibly. Following our return to Toronto (via Vancouver, as the planes from Seattle are too small for our instruments and cargo), the orchestra had a week off from Tafelmusik duties—before we get back in to our season with The Baroque Diva next week in Koerner Hall. See you there! Tafelmusik Baroque Orchestra final bow at the Meany Theater, Seattle, WA. Early Tuesday morning we left Winter Park, Florida, and headed across the country to begin the final West Coast leg of the tour. It probably comes as no surprise to say that Southern California is a favourite destination for everyone in the orchestra. This has been our third time in the area in recent years, and we were all excited to return to some of our favourite spots in Santa Barbara and La Jolla. The only down side was that the tour schedule was heating up at this point — four travel and concert days in a row meant there would be little time to enjoy the beautiful surroundings. Nevertheless we were all very excited at the first glimpse of the Pacific Ocean as we made our way up the coast highway to Santa Barbara. Our hotel was the same one we stayed in on our last trip here, the historic Upham. It is the oldest hotel in Santa Barbara and the rooms are all little one-room cottages clustered around a beautiful garden where one can sit tranquilly and enjoy breakfast or just soak up the sun. Given that this was the last free night of the tour a group of us set out in search of a good taqueria, which is not difficult to find anywhere in SoCal. We ended up at Rincon Alteña, a little hole in the wall in downtown Santa Barbara and were not disappointed. The next day we were free in the morning to explore the town. Jet lag had me up early so I embarked on a morning walk and discovered a lovely little park with a pond full of turtles! 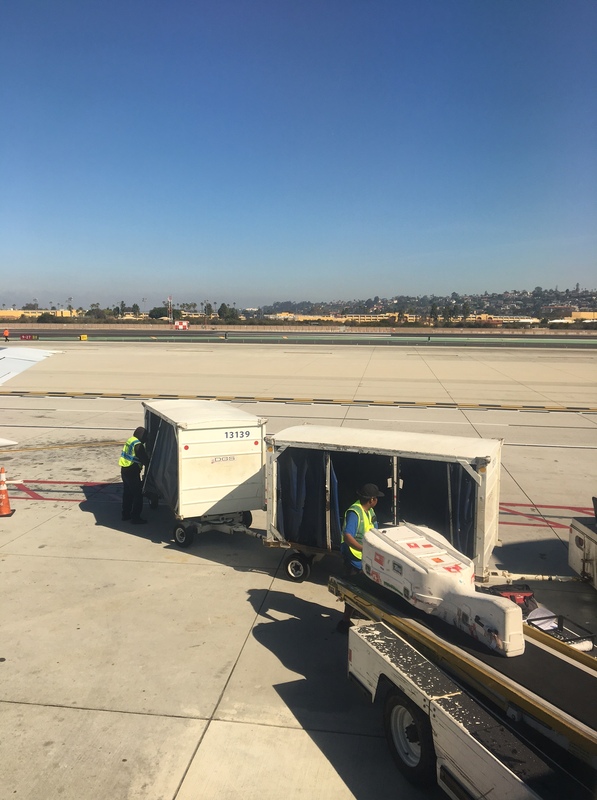 While I certainly love California for the weather and the food, what I most enjoy about touring in my home state is seeing the family and old friends and colleagues I have scattered up and down the coast. Patricia Ahern, Patrick Jordan, Allen Whear, Cristina Zacharias and I all spend our summers in Carmel-by-Sea playing in the Carmel Bach Festival, and two dear friends from the festival, Gail and Stan Dryden, made the trip down from Carmel just to hear our concert and hang out a bit afterwards. The concert venue was the beautiful and historic Lobero Theater, which is where we played on our previous visits. The full house and enthusiastic audience was proof that we’ve developed quite a following here, and after the concert we were immediately invited back to bring our next touring program here. The next day was a very full one — it began with us hopping back on the bus and heading down to Long Beach for our concert at the Carpenter Center for the Performing Arts (named after the late Karen Carpenter) at CSULB, a few miles south of Los Angeles. Julia Wedman and I were dropped off en route at the University of Southern California where we both gave masterclasses to some of the many talented students at the fine music school there. Julia worked with the USC Early Music Ensemble, and I worked with modern bassoon studio, giving them an introduction to the baroque bassoon and historical performance practice. After our classes we were rushed down to Long Beach to join the rest of the orchestra during the pre-concert warm up. The Hall was a bit too large for our group and a challenge to play in, but the small but enthusiastic crowd made up for it. An old college roommate of mine, Steve Trapani, who happens to live just a few blocks from the performance venue, generously invited the whole orchestra over to his home for a post concert party complete with his excellent home brewed beer! Our final day in Southern California began with another bus ride, this one to the lovely village of La Jolla just north of San Diego, where the La Jolla Music Society resides. Here I got to spend a couple of hours with my beautiful niece Amanda, who lives in San Diego, and nephew, Tim, who drove all the way from San Luis Obispo to come hear the concert. The concert venue was located in the San Diego Museum of Contemporary Art, overlooking the ocean and just a few steps from Seal Rock, where we were able to see dozens of harbour seals and their babies sunning themselves on the beach. The concert venue there is about to be renovated and ours was the last concert ever played in that space. We’ll look forward to returning to La Jolla on our next California tour and playing in a brand new concert hall! One of the things I love the most about touring (and maybe life in general) is that unexpected things happen — both unexpectedly wonderful and unexpectedly challenging. This blog is dedicated to the highlights and challenges of touring. I love the magic that performing in a great hall inspires in Tafelmusik. It is like an upward spiral — when we hear something beautiful, we are moved to respond with something equally striking, and suddenly the music takes on new shapes that we had never heard before. Adding to the momentum of the upward spiral is a completely engaged audience, like the one we had in San Juan. Just after intermission, I always go up into the balcony and play part of the Allemande from Bach’s D-Minor Partita. Even though it is exciting to be so close to the audience, it can be nerve-wracking to play so far away from the rest of the orchestra. In this concert, it was heart-warming to be part of the crowd. I got to see first-hand how the audience was responding to every sound and image — laughing, whispering to friends, and soaking up everything coming to them from the stage. There was a vibrancy in the response that gave me a true sense of community —everyone was seeing and hearing this concert with the same kind of excitement and love that I have for it! I think people coming to classical music concerts often think that they have to be quiet all the time. Yes, we do need still moments, but I love a boisterous audience and prefer genuinely spontaneous silences that come when the audience and performers are so tuned in that we all need a stillness. In a solo earlier in the program, I have a silence, and one of the tests of me, the hall, and the audience is how long I can draw out that silence. Tonight’s was one of the longest! Some days our tech team faces big challenges on tour. We travel with our own computer, projector, and large-scale screen, and our technical team (Raha Javanfar, Glenn Davidson, and Glen Charles Landry) arrives several hours before the orchestra in every venue to set up the screen and the projector, focus the lights, and tape the floor medallion to the stage so that Blair and the orchestra know where to stand. One of the biggest challenges at the Sala Pablo Casals was finding a place for the projector so that the image had a clear path to the screen over people’s heads. In order to make that work in San Juan, Raha spent 90 minutes scrounging around backstage “MacGyvering” a stand for the projector in the lighting booth. The resultant pyramid consisted of the projector on top of its own case, on top of scrap pieces of wood, on a table, on the conductor’s podium, on top of a skid. It worked perfectly! It was my first true day off (no practising!) since the beginning of January. Rhett Lee Garcia, one of the wonderful organizers of our San Juan concert, set up a last-minute tour of the rainforest in gorgeous Yunque National Park. Hector, our knowledgeable and friendly tour guide, picked us up at 10am, and after a scenic drive past incredible coastal views, we stopped at his friend’s grocery where we picked up delicious fresh pineapple, mangoes, and coconut candy. As we drove up into the mountains, he described the medicinal qualities of the trees. “For every disease there is a cure within 20 feet in the rain forest,” he declared. He dropped us off at the top of a narrow stone trail, from where we followed a small stream of water which gained volume as we walked down amongst the lush vegetation, leading to stunning waterfalls. About ten minutes into the walk, I felt my lungs expanding and a deep breath entered my body. It was as if I hadn’t been breathing for months! When we got to the falls, we dipped our feet in the cold water, and the two Glenns bravely dived straight in! Today was an exquisite reminder of nature’s power to heal body and soul. This was such a wonderful day that even the challenges were fun! We had planned a big dinner for the whole orchestra at a beautiful restaurant in the old city, and a few of us went in early to walk around. After a day of perfect weather, the sun gods decided we had had too much, and a torrential rain storm rudely interrupted our visit to the sixteenth-century citadel, Castillo de San Felipe. We arrived at the restaurant soaking wet, freezing, and starving. Unfortunately the restaurant, located in a charming former convent, was not having its best night. Soon after we arrived, a scuffle (fistfight!) ensued between two members of staff, and our server, who was new, was visibly rattled. The restaurant was understaffed so the food took a long time to arrive — two and half hours! In true Puerto Rican style, they kindly gave us free appetizers, but the food wasn’t quite up to the high standards of many of the officianados in our group. Nonetheless, we enjoyed the ambience and the company, and I took advantage of the tiny hand dryer in the bathroom to dry out my socks while we waited for dinner! After an early wake-up and a long day of travel we arrived in sunny Winter Park, Florida, to play for The Bach Festival Society concert series, which was founded in 1935 to commemorate the 250th anniversary of Johann Sebastian Bach’s birth. One of the things we all love about touring is having a chance to visit our musician’s family members around the world. Many of us get the most nervous and also play the best when family members are in the audience (both in Toronto and on tour). Tiedtke Concert Hall in Winter Park is not far from oboist John Abberger’s family home. Not only did we have the honour of playing on such a prestigious and long-running concert series, filled with an audience of smiling Bach-lovers, we were treated to a lovely reception organized by John and his brothers! We were treated to Lester Abberger’s delicious homemade smoked salmon, got to cuddle with Will Abberger’s beautiful golden Labrador, and were treated to a viewing of family treasures, which included the sweetest portraits of John and his brothers as children. It is always fantastic to meet family and find out more about our beloved colleagues’ early years. We also had the pleasure of seeing Tricia Ahern’s mother and Chris Verrette’s brother. We will definitely have to come back to Winter Park soon! One of the other challenges of touring with a baroque orchestra is that we don’t travel on airplanes with our own harpsichord, so we need to find harpsichords in the places we perform. Today’s harpsichord presented a problem when guest harpsichordist James Johnstone arrived before the orchestra to practise and tune. Many harpsichords have a transposing mechanism that enables them to play at A=440 (modern pitch) or A=415 (baroque pitch). When James arrived, the Dowd harpsichord was at A=440, and the mechanism to switch it over was stuck. After 20 minutes of struggling, Glenn Davidson (from the tech team) came over to help. They were pressed for time because we had arrived almost an hour late to the hotel (delayed flight, faulty GPS on the bus getting to the venue). It caused a little stress — a harpsichord tuned at the wrong pitch would not do! The orchestra would be arriving soon and everything needed to be in place for the dress rehearsal. The stage was a different shape than usual (wide and narrow), so the screen had to be placed beside us rather than behind us. We needed every bit of rehearsal time for re-organizing choreography and getting used to the new space. James had almost fixed the problem when Glenn Davidson arrived to complete the last puzzle piece. Crawling under the harpsichord, Glenn discovered an extra screw that needed to be taken out for the transposition to fall into place! James quickly began tuning as the orchestra arrived, and rehearsal only started about five minutes late. That was great for me because I was late too. I have a lot of food allergies and hadn’t been able to eat anything at the airports that day. My food supply was low, and I had to find a little grocery store after getting to the hotel. In a rush, I dropped my rice cooker, and I thought it broke. But I was able to fix that too! The orchestra is in California with performances scheduled in Santa Barbara, Long Beach and La Jolla. Then the tours ends in Seattle, Washington. L-R: Michelle Odorico, Alison Mackay, Allen Whear, Patricia Ahern, Julia Wedman, and Dominic Teresi.